Black and white tintype, found b&w photo. 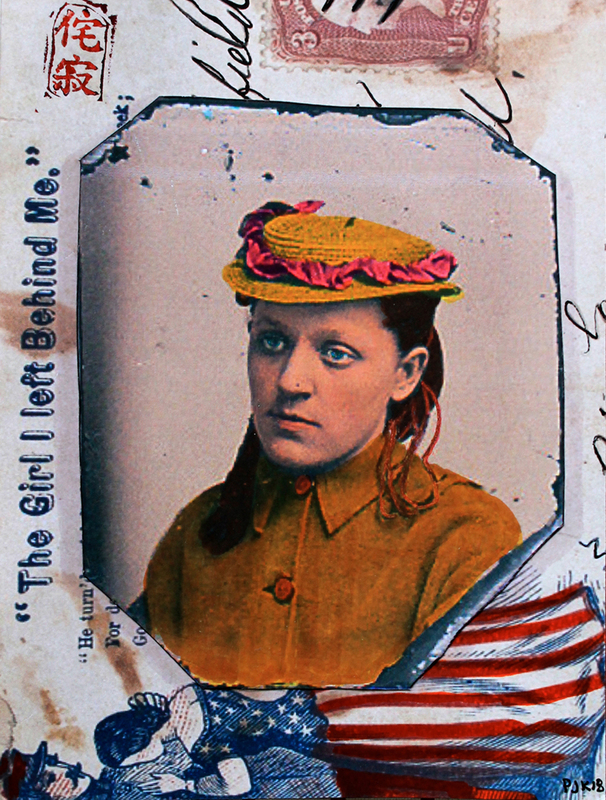 The photo was enlarged, cut out, and mounted on a (copy of a) period love letter envelope with stamp. All parts then colored with photo dyes, pen and ink. Rubber stamp denoting it as part of the wabi sabi series.